Taking their anti-social edge one step further, seventeen year old Gem and her friends Mira and Lo have decided to go 'underground'. Their activities will be 'extreme', 'anti-establishment', 'avant-garde' and 'debauched'. While Gem makes an underground film and Mira sets about pursuing 'boys-without-barcodes' no one knows what it is that Lo - the most subversive of the three - has planned. But in the back of her mind, Gem's worried. She feels the balance of the trio's friendship is always weighted against her. And as the weeks draw closer to Christmas, appearances start to deceive and relationships flounder. For all the promise of the group, Underground seems a dark place to be. It will take great films, bad poetry and a pantheon of inspirational guides - from Andy Warhol to Germaine Greer - to help Gem work out the true meaning of friendship, where family fits in, and that the best parts of life aren't always underground. YAY for this book. 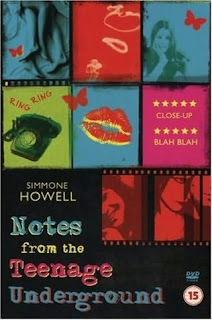 It was this book, Notes From the Teenage Underground by Simmone Howell that first inspired me to begin my Awesome Women series of posts. But I've been so nervous about writing this review that it's taken me months to put into words how much I adored this book. Our main character is Gem, short for Germaine Greer the feminist writer that Gem's hippy mom named her after. Together with her besties, Mira and Lo, they've formed this circle of non-conformity. And to cement it, they've agreed on a special project, one they do every year. This year feels different, like it could be their last, so it has be big and ground breaking. Something very extreme and 'underground'. Something amazing. This book is so full of fun. Gem's a pretty big film-buff and is still searching to figure out who she is and what she'd like to do with her life.It's just Gem and Gem's eccentric artist mom Bev, who regularly consults the I-Ching and is more friend than mom.. until Gem's absent father arrives on the scene. Gem's mom and godmother are pressuring her to go to university, but Gem feels like film school might be the better option. Another big concern for Gem, is how she fits in with her friends. She has this uneasy feeling when it comes to her Mira and Lo, who are more experienced with boys and seem to connect better with each other. Gem really wants to feel part of the triangle of friends again. Gem is an absolutely adorable character. She has such a great voice and personality. She is this mixture of uncertainty and quirkiness. In a kind of desperation to impress Lo, Gem dreams up this fantastic idea of using Andy Warhol as her inspiration and their summer project should be filming this underground film. She asks her co-worker and (would-be love interest) Dodgy if she can borrow a video camera and from there, very interesting things start to happen. As this brilliant film is taken over by Mira and Lo, Gem is able to get a better perspective on life, love, friendship and family. Reading this book really made me wish that I'd grown up in Australia, with a mom like Bev. I wish that I knew more about art, about films about film-making. 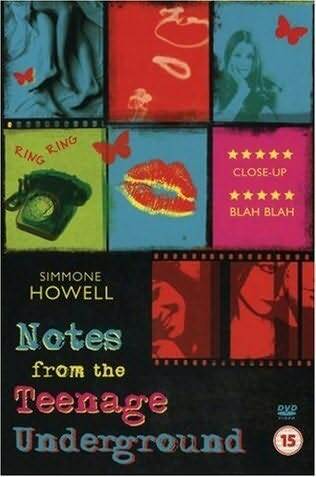 You can tell that Simmone Howell has an interest in all of these things, as she's written about them with such feeling and passion. This struggle with growing up and family relationships is something I feel like most of us can relate with. Gem's power struggle in her friendship with Mira and Lo was very believable and felt authentic. In case you were wondering, at one point in the process of making this awesome, underground film, Gem writes a series of scenes involving 'Formidable Women.' Together with this idea and the image of artsy Bev and the idea of Germaine Greer, I really wanted to highlight some other Awesome women. So a big thank you to Simmone Howell for being my inspiration. This is a wonderful book, it comes very highly recommended by me! It's highly recommended by me, too! I loved this book. Thanks for a wonderful review, and for your Awesome Women posts too. Carly - It really is :) I loved reading it.